Climates changes effects are very various in coastal areas. 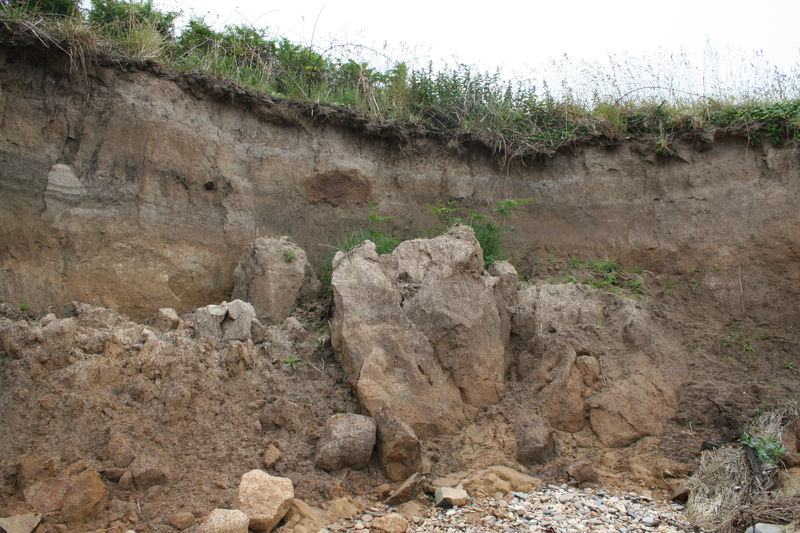 The coastal erosion, with anthropic pressure, affects not only the natural systems but also the cultural, historical and archaeological heritage, along the English Channel and Atlantic shores. The loss of heritage and scientific data had to be urgently taken into account. In France, the gravity and urgency of this situation increased due to administrative hiatus. The erosion being considered as a natural phenomenon, so the “destroyer-payer” rules of rescue archaeology may not be applied, and then, no legal and financial means could provide an emergency response in this context. 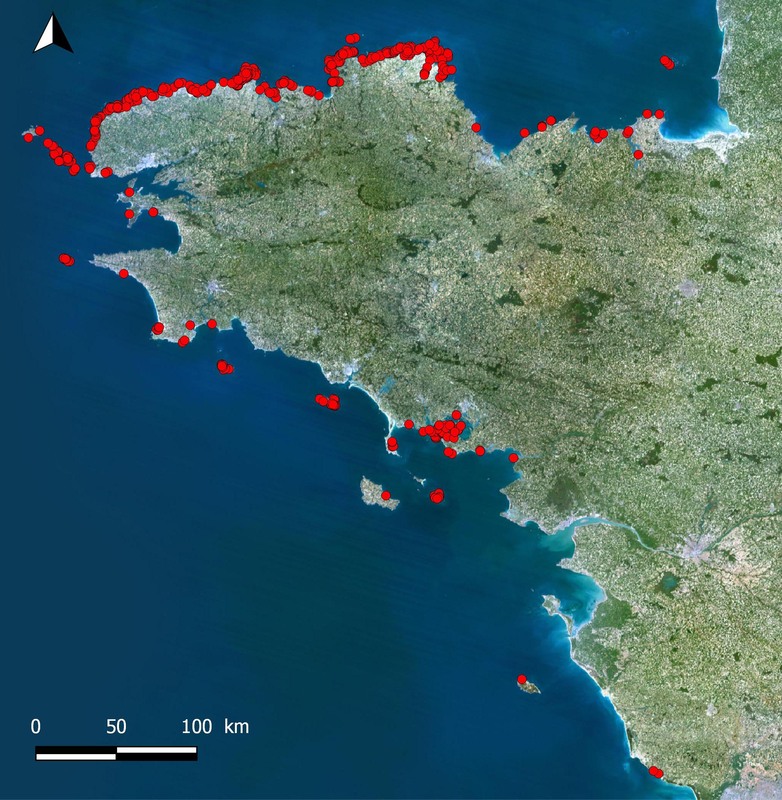 For these reasons, since 2006, the ALeRT project (Archaeology, Coasts and Climate Changes – Archéologie, Littoral et Réchauffement Terrestre) has been created in the CReAAH framework (Research Center in Archaeology, Archaeosciences and History – Centre de Recherche en Archéologie, Archéosciences et Histoire) by an interdisciplinary group of researchers (archaeologist, geomorphologist, geographer) to address this problem. This interdisciplinary approach has brought, first, tools for observation and evaluation of the archaeological sites vulnerability (VEF: Vulnerability Evaluation Form; which is the scientific core of the ALeRT project), then sites monitoring and heritage management approaches. It allows setting up watchfulness maps, strategical approach and adapted actions on various scales (from local to regional). A participative approach has developed, allowing researchers but also volunteers, to work in connection with archaeologists, thanks to a range of different devices, interactive and connected to a central online database: a web application has been created; thereby the field observers can document the archaeological sites under threat. More recently, a mobile app ‘ALeRT Mobile’ has created, web application accessible from tablets and smartphones. The app allows the user to type and transmit all the relevant information for each site to a secure server. The VEF grid has been put to the test in the West of France (Brittany, Pays-de-la-Loire) and also in Galicia (Spain), in the framework of a partnership between CSIC (Superior council for scientific research – Consejo Superior de Investigaciones Científicas) and National Park of Galicia’s Islands. ALeRT project has currently several collaborations, with for example the eSCOPES project (Evolving spaces: coastal landscapes of the Neolithic in the European Land’s Ends; Durham University, United Kingdom). ALeRT project have benefited of support from: Fondation Langlois, AMARAI (Archaeological association in the English Channel and Atlantic Islands – Association Manche Atlantique pour la Recherche Archéologique dans les Îles), Bregantia project, CNRS (National Center for Scientific Research – Centre National de la Recherche Scientifique) and of Culture and Communication Ministry. As part of ARVOR project (support of Brittany area), numerous developments have realised. Since 2016, the project was developed with support from Fondation de France. The leaflet introducing the project.